Sometimes I just feel too tired (lazy?) to go grocery shopping. And then it becomes slim pickings for meals and snacks around here. Especially through six solid months of winter. 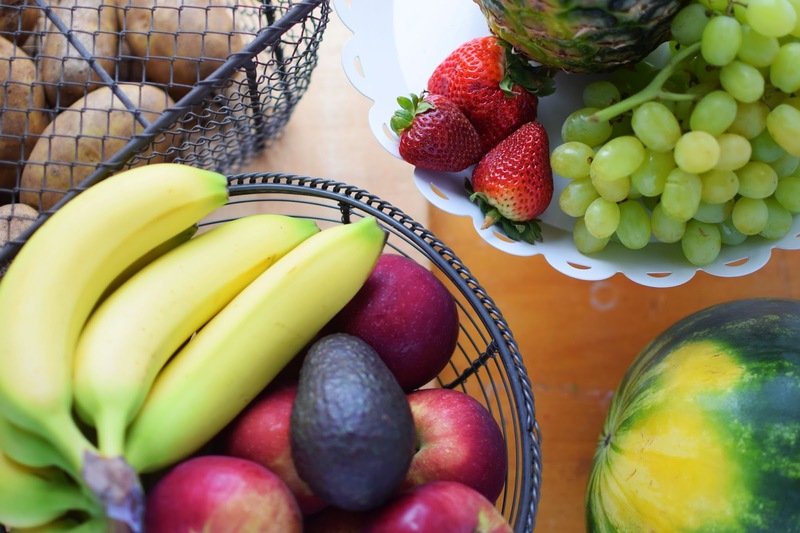 Fortunately with the arrival of spring comes renewed energy, and I have been hitting up the grocery store regularly to replenish our stock of fruits and veggies. Having lots of fresh produce in the kitchen means a much healthier week for me and my family. It always reminds me of the advice that raw chef Pedja once gave me for adding more raw foods to our diets - add healthier choices to your diet and they will naturally begin to replace the unhealthy foods by sheer volume. And, surround yourself with fresh fruits and veggies. Simple and powerful. Speaking of raw foods, I had the welcome task this week of interviewing Trevor, the owner of Rawlicious in Markham, Ontario. 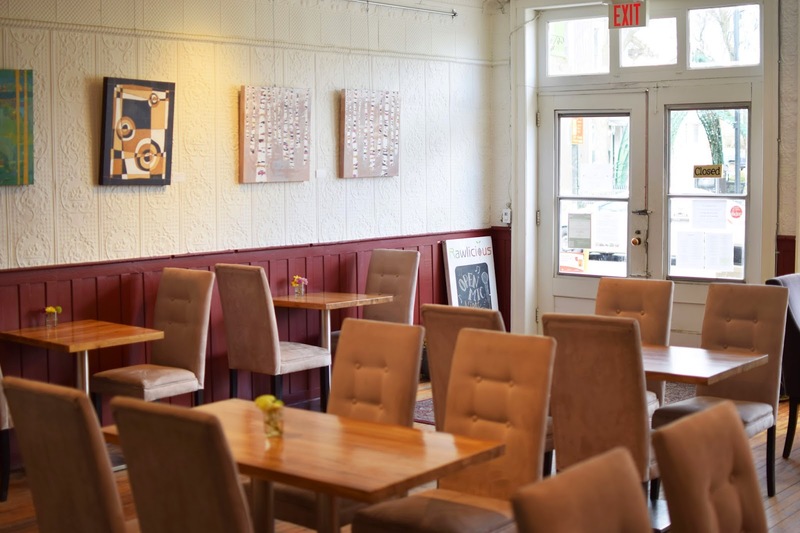 It's a lovely, sunny restaurant on the city's historic main street. 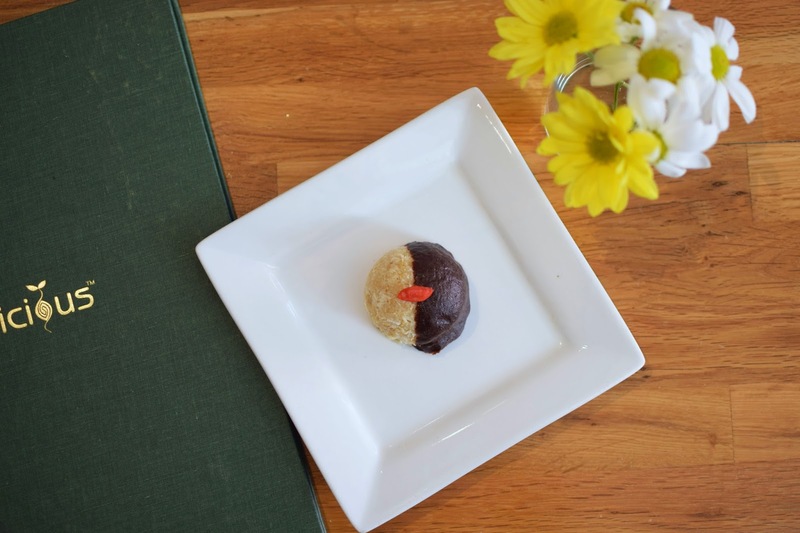 After we chatted, I sampled this scrumptious raw vegan chocolate-dipped blonde macaroon. Sooo good! I also went to the Green Living Show last week. 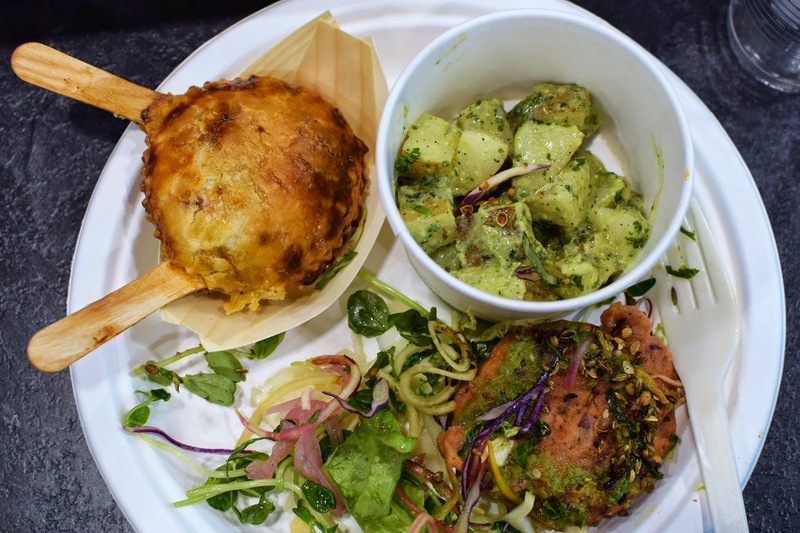 I had this incredible plate of food, including a root vegetable pakora from VEGHED fresh bar, an amazing kale pesto potato salad from Pizzeria Libretto Group and a delicious Pegasus Hospitality Group mushroom and kale hand pie. Yum. Now to my What I Ate Wednesday day of eats. 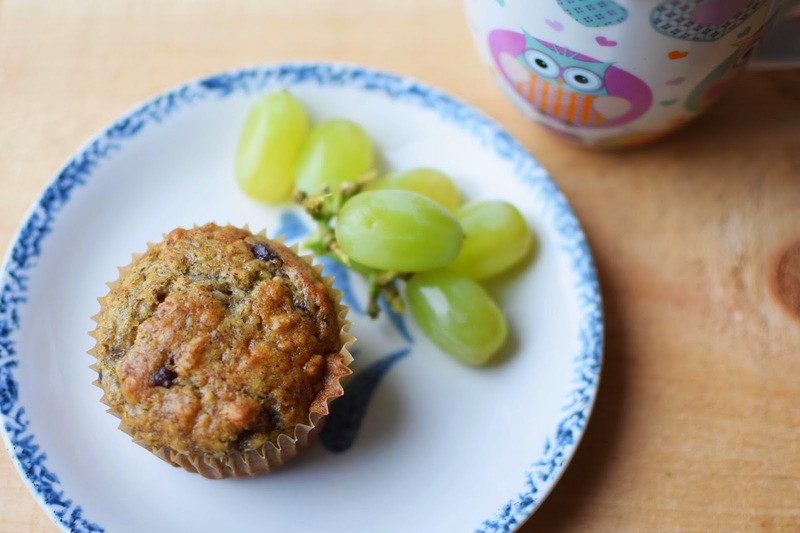 My Monday started with a vegan banana chocolate chip muffin, a handful of grapes and decaf green tea. 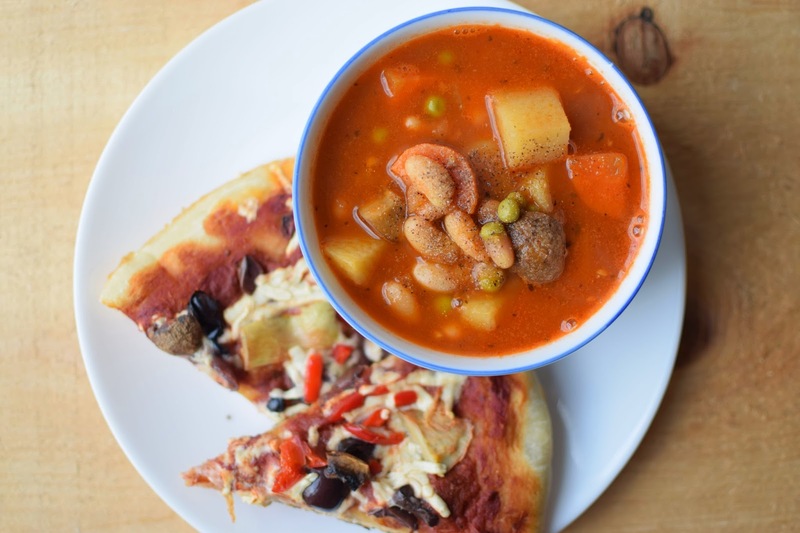 I had leftover vegetable soup for lunch, along with a couple of slices of homemade vegan pizza topped with kalamata olives and peppers. 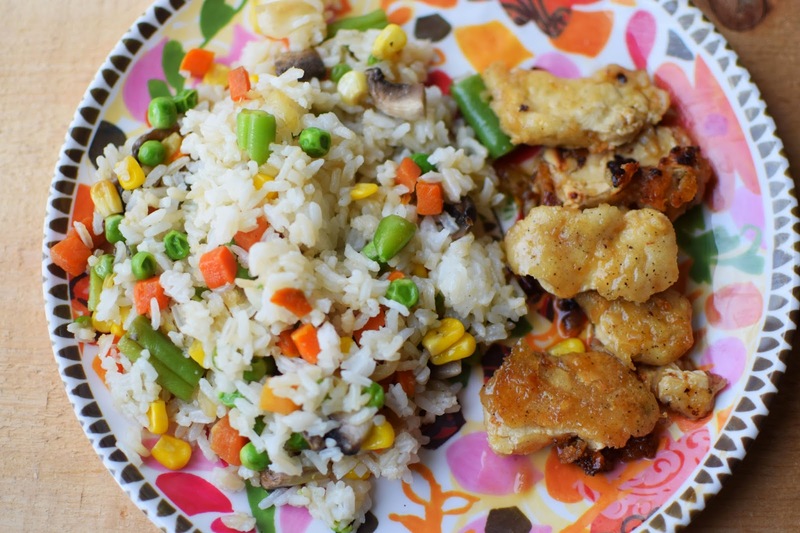 We had a simple dinner of fried rice made with frozen mixed vegetables and Gardein orange "chick'n" on the side. I would like to say I had an apple for dessert, but this apple is actually standing in for what I really had - apple pie. It was dark and I didn't feel like getting my light box out to photograph my pie. 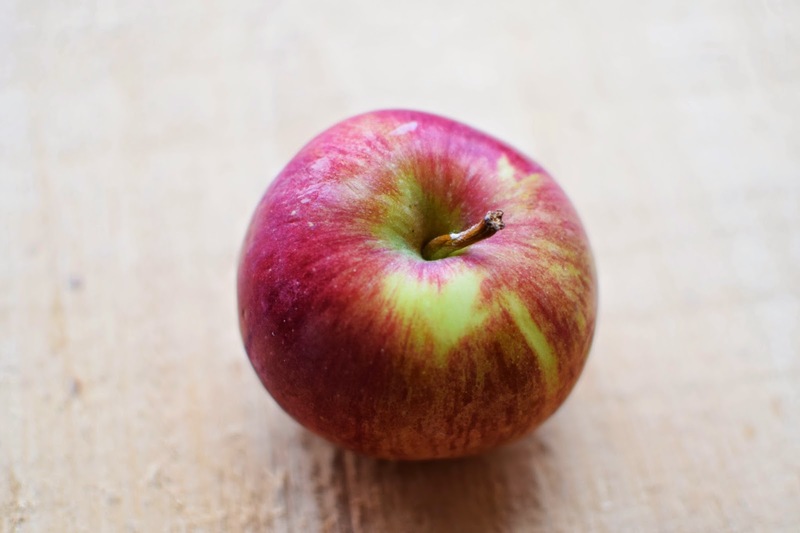 Just picture this apple all cut up and mixed with something sweet...in a pie crust! Have you been keeping the kitchen stocked with healthy foods of late? Everything look so beautiful and dreamy, I plan to corporate more fruits on my diet as well. Beautiful post. Thanks so much! That's very kind of you to say. Enjoy your fruits! These are such beautiful photos. You have a light box you say? I wonder if that's something I could try -- it may help my awful photos. Sad not to see the apple pie, but everything else looks great! 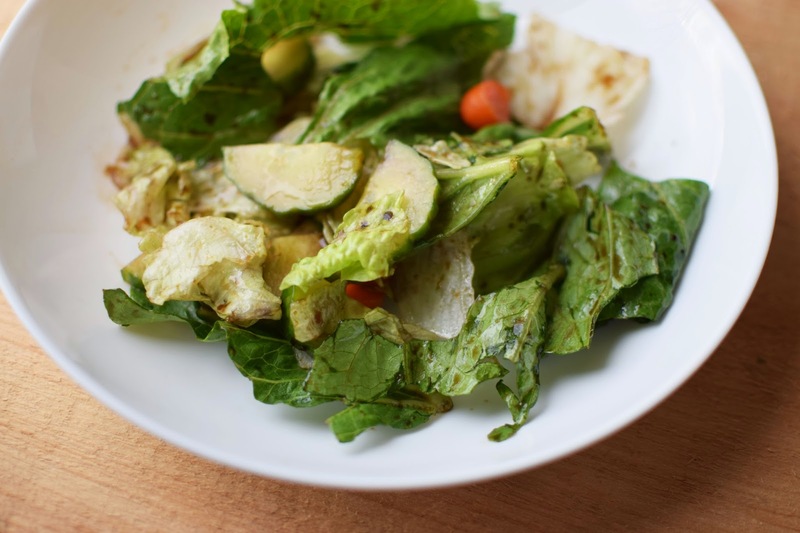 Yay for WIAW – i love sharing my eats and seeing what everyone else is having! That raw restaurant sounds so good! I love finding unique gems like that! You actually inspired me to see what we have around Boston! I really need to change my diet, get healthy and lose some weight! The food in this post looks delicious!